Thursday | May 4, 2017	Bakerzin makes sure you have a hearty lunch this May. 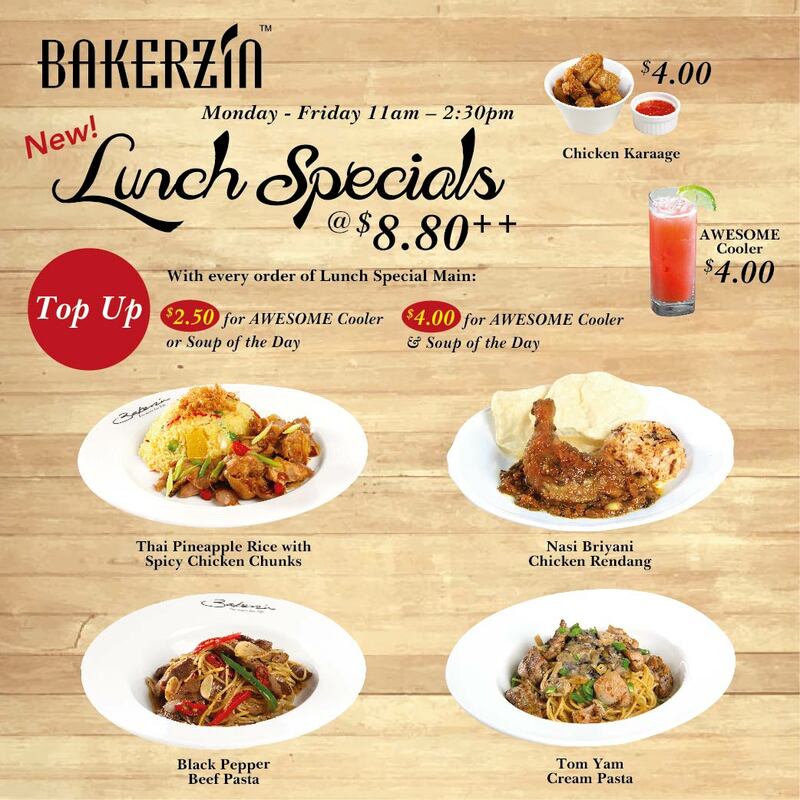 Monthly Lunch Specials to whet your appetite and have you crave for more. From Black Pepper Beef Pasta, the fragrant aromatic wok-hei of the black pepper beef will have you wanting more. The Thai Sweet Pineapple Rice is a winner here, the rice is cooked to perfection and topped with floss, making this dish one of the most popular item in the menu. Hurry now and feast to your heart’s content. Now available at all Bakerzin outlets from 11.30 to 2pm except Bakerzin Gardens by the Bay, Nom La La and Maju outlets.